On January 1, 2018, Matt Beland was working all day and finally he went on his break to smoke. Stared to take a picture of the moon he saw something was going on so he flipped the video on and started to record. 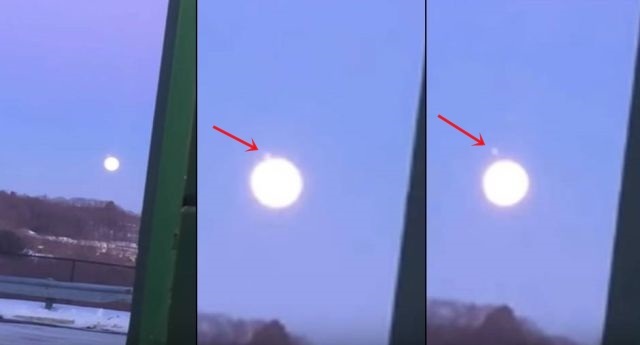 After viewing the video it looks like a bright UFO coming out or leaving the moon till it disappears. According to Matt, who has filmed the object from an unknown location, he has seen the exact same thing several times before next to the moon.